What's Poppin' at WCI | Wisconsin Converting, Inc. This Saturday is National Popcorn Day. While there is some room to argue the exact day to celebrate, there’s no arguing that popcorn is one of the most popular snacks in America. According to The Popcorn Board, Americans consume 13 billion quarts of popped popcorn each year. Popcorn is simple to make, healthy (depending on what you put on it) fun to eat and popular with people of all ages. And guess what? We’ve got a bag for that! Don’t see what you need? 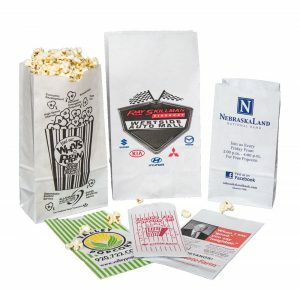 We stock a variety of sizes of stock merchandise and SOS style bags – all can be used for packaging popcorn. 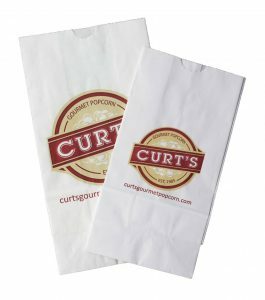 We also offer larger paper bags for bulk popped popcorn are also available in both pinch and flat-bottom style. We manufacture customized and seasonal packaging for large specialty popcorn shops and distributors nationwide. Call today and we’ll be happy to get you in touch with one of our many helpful distributors!